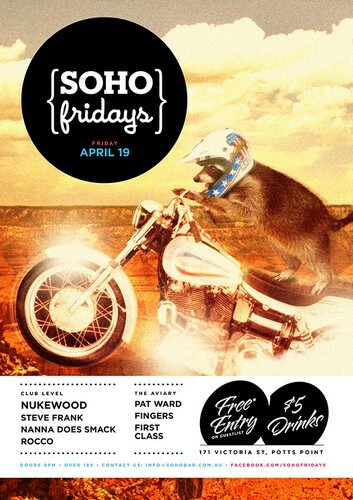 Soho Fridays launched in June 2011 to a heaving capacity crowd who partied till dawn and has since been devastating the Friday night club scene throughout Sydney. 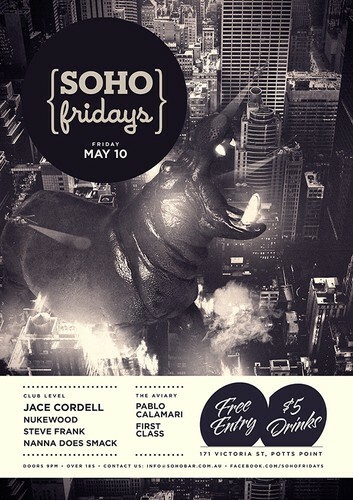 Friday nights deliver a mash-up of everything electro, house and party showcased by some of the best local DJs and up 'n' comers Sydney has to offer, as well as a number of renowned international and interstate DJs. 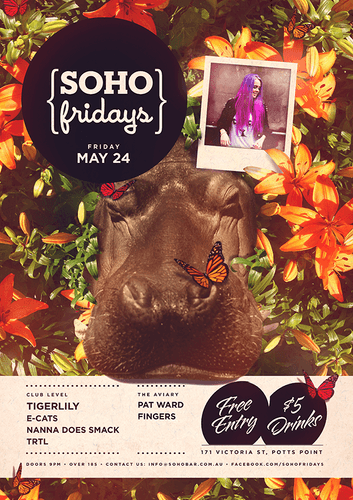 Downstairs in the main room on a weekly basis you’ll find the likes of Matt Nukewood, Skinny, Steve Frank and Ember who relentlessly push the boundaries and provide beats that will keep you moving to the early hours. If the heavier stuff downstairs isn’t your thing, then the party room upstairs plays everything hip hop, party and mash up that includes residents Pablo Calamari, Deckhead, Goodfella, Pat Ward and Nanna Does Smack. 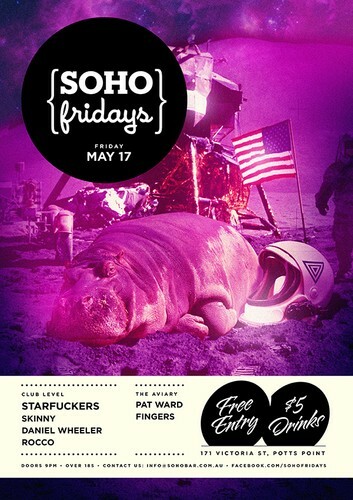 Soho Fridays was established to create a decadent playground for all those who know their music and know how to par-tay! 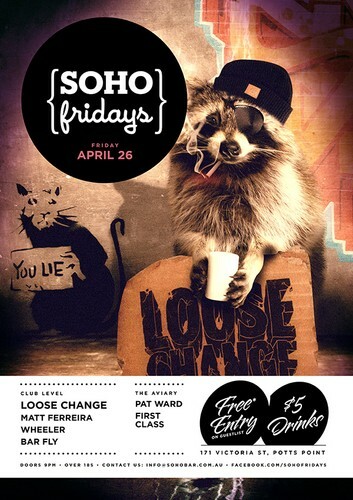 The crowd typifies a mix of urban scenesters and industry types alike, with no pretensions or preconceptions, just fun-lovin party animals keen to get loose and enjoy the night. Apply for your guest list at the website above.